It can eliminate cellulite on the legs and buttoks, breaking down the orange peel appearance of the skin and producing a smooth contour. The average patient eliminates all visible cellulites in 10 sessions. Some patients require additional treatments if their cellulite is particularly severe. On average, if coupled with RF body contouring, cellulites can be removed in 6-10 sessions. 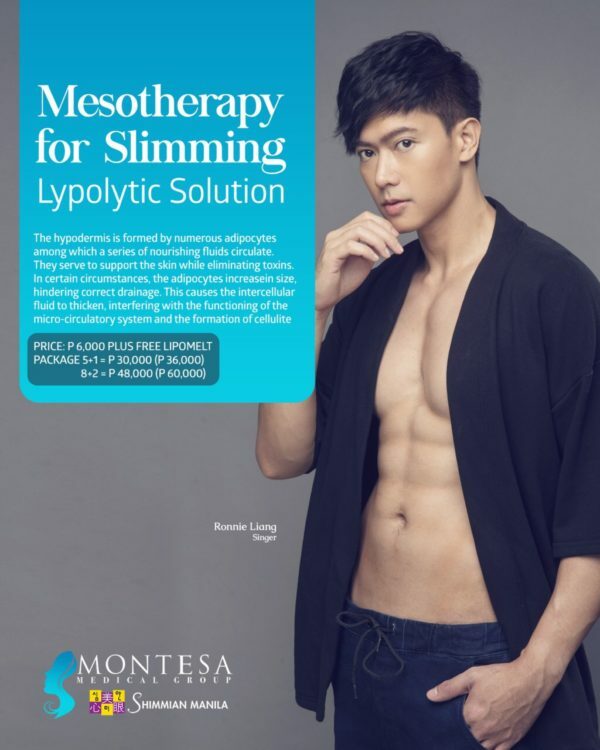 Microinjections into the subcutaneous fat can metabolically target adipose fat cells by including lypolysis, rupture and cell death among adipocytes. 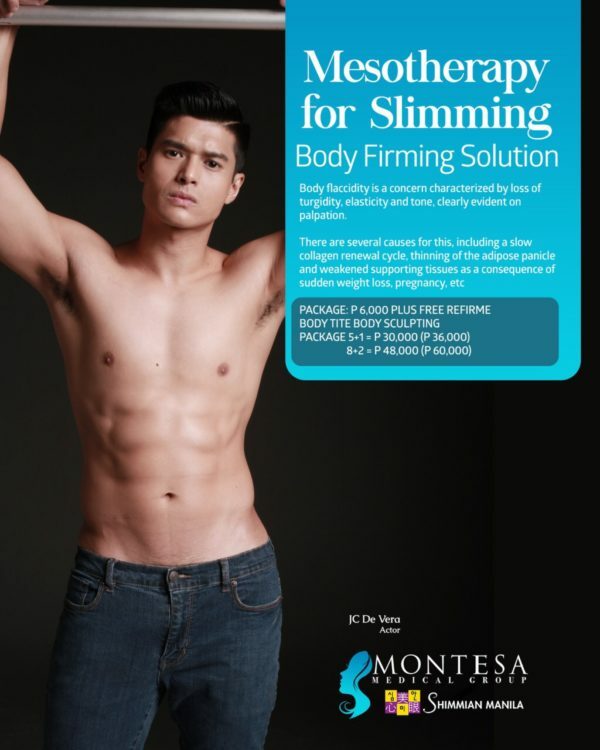 It also helps tone and firm the whole body while improving circulation. 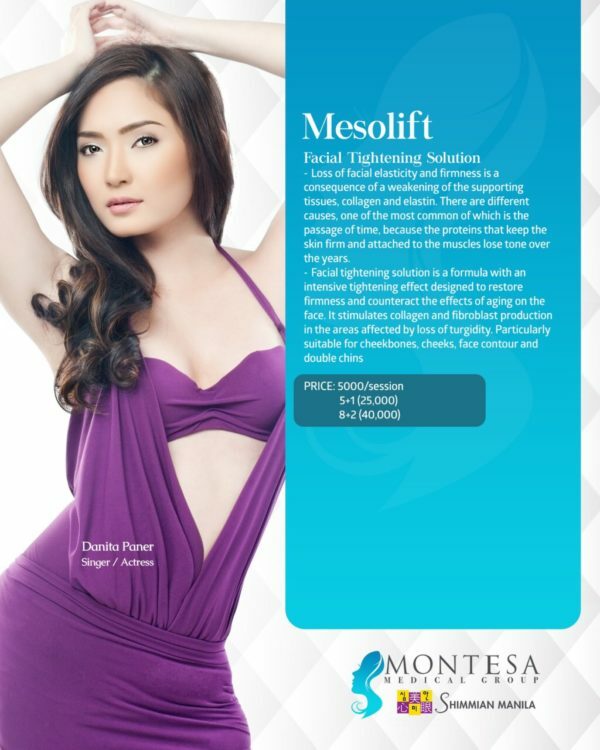 The Mesolift process – delivers vitamins, minerals and amino acids directly into the skin to nourish and rejuvenate, promote production of collagen and elastin, and stimulatye your metabolism. As your skin ages, circulation decreases, and the resulting reduction of oxygen hinders your body’s ability to flush out toxins. This is what drives premature aging and causes skin to develop an ashen appearance. After treatment, patients commonly described their skin as looking rested, radiant, glowing and firmer. 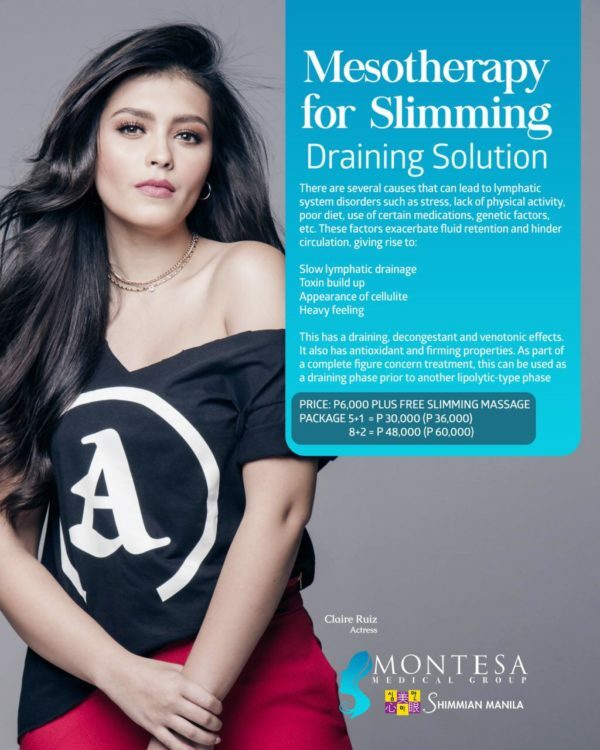 Mesotherapy can be used as supplement or an alternative to many anti-aging regimens, including botox, laser resurfacing, peels, antioxidants, topical creams and facelifts. Mesoalopecia – a combination of multivitamins, hormones, and minerals is injected to the scalp to stimulate hair growth. Treatment is done weekly for 15-20 sessions. It is helpful in cases of falling, thining hair and spot baldness. Meso for oily skin – This is recommended to help control oily skin through microinjections using nappage technique of multivitamins and minerals. Treatment is usually administered every 1-2 weeks for about 6 sessions and can be done together with facial treatments. 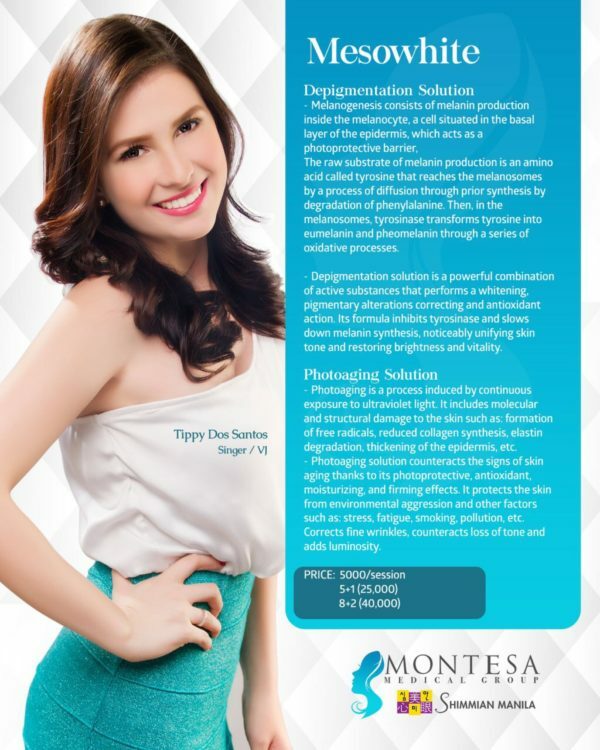 MesoWhite – whitening solutions, multivitamins and minerals are injected into dark and problematic areas like armpits, and facial hyperpigmentations. These medicines help to disperse the pigments allowing the area to lighten and glow. Multiple sessions are required and are spaced every one-two weeks.